We're pleased to have Camille Di Maio here for a visit. 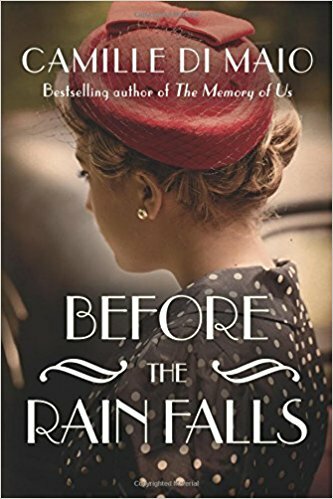 Melissa A loved her debut, The Memory of Us (reviewed here), and is excited to start her sophomore novel, Before the Rain Falls. Thanks to Get Red PR, we have one copy to give away! I was the kid with the teeth that earned me the nickname of “Vampire”. The glasses that could have helped you see Haley’s Comet in perfect clarity. The shyness that had me hiding in the library at recess. In every scenario, I would have chosen books over people. People were fickle, confusing, and often mean. Books were full of adventure, travel, and interesting characters. It was in that library in Aurora, Colorado, where I discovered that books held the key to be transported nearly anywhere and where friends were found in the black ink on a white page. My friends were named Anne (with an E), Pollyanna, and Jane Eyre. I learned something from each of them. From Anne Shirley of Anne of Green Gables, I learned that an imagination was something to nurture. Anne dreamed big and believed that all things were possible. She bucked social norms and forged her own path. Instead of bowing down to everyone’s expectations, she stayed true to herself and changed the hearts of those around her. So I dreamed big. I dreamed that I would be a writer even as people told me that it was difficult and the road laced with rejection. They were right. But I dreamed it anyway. And it came true. From Pollyanna, I learned to play The Glad Game. I developed an attitude of gratitude before that was a popular phrase. If anything unpleasant came my way, I found something in it to be glad about. A red light? I’m glad I didn’t get a green – maybe there would have been an accident up ahead. A thunderstorm cancelled our plans? I glad I’d get the chance to dance in the rain. (Literally. I love to toss off my shoes and run outside and pretend that I’m in some romantic movie scene.) My parents moved us in the middle of my junior year across country from a beloved city to a tiny rural town? Ok. That one was a little tough to get over, but I found my gladness – hitting highway 83 to make monthly trips to Washington, DC, where I eventually met my future husband. From Jane Eyre, I learned stamina. Despite her love for Mr. Rochester, she ran away from his pleading heart when she discovered that he was already married. It took amazing fortitude to do what she felt was right and she paid a price for it. But she laid groundwork for me to be strong when faced with moral challenges. There were many others over the years. In fact, in nearly every book I’ve read – and there are hundreds and hundreds and hundreds behind me now – I have learned something from a character or situation that has shaped me. As a person. As a writer. My new dream is to write characters who have a similar impact to others. To let my books give what I’ve been given. And who are we kidding? I also dream of living in front of an ocean and having a perpetual supply of guava juice in my refrigerator. Perhaps Anne will be my next door neighbor and we will make cakes that don’t include mice in the batter and dye our hair green. Until then, I’ll continue to live inside the pages. Thanks to Camille for visiting with us and to Get Red PR for sharing her book with our readers. Willa from Tracie Banister's Twin Piques. She loves animals and is a romantic who is always searching for love. Plus she has a cool sense of fashion. I would love to befriend Anne from Anne of Green Gables. Anne was inspiring, wonderful, special and had a great attitude and outlook. Miss Julia from the series by Ann B. Ross. Granny in "My Grandmother Asked Me To Tell You She's Sorry" by Fredrik Backman. Granny is full of life and does whatever she wants not caring about what others think about her. Granny has a huge heart. The kind of Granny I would have wanted to have. Maggie from The Nantucket Sisters by Nancy Thayer. 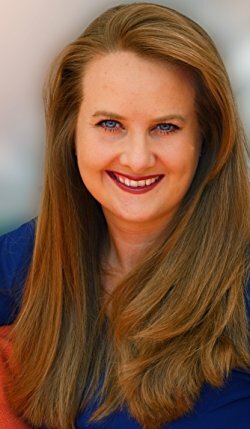 I would like to be friends with Melaine from the Tradd Street series by Karen White. Eleanor from SENSE AND SENSIBILITY. I think I would be friends with Superman so he could help me out of any jams i get into! Either Anne Shirley from Anne of Green Gables of Feyre from A Court of Thorns and Roses. This turns out to be a tough question. I think there is a character I would like to be friends with in every book I've read. But to go way back, maybe Francie from A Tree Grows in Brooklyn. I so identified with her. I would like to be friends with Samantha Sweeney from Ashley Farley's book Her Sisters Shoes. I just think there's something about her that is just so cool. She's like the perfect person, the glue that holds everyone together.